It’s inevitable that from time to time, photo ID cards break, snap or bend. When this happens, understandably, ID cards need to be re-issued, but re-issuance means costs are continually increasing, and valuable time is lost producing these new cards. In fact, you’ve probably experienced this, which is the reason why you have ended up on our post as your hopefully looking for a way to prevent broken photo id cards. 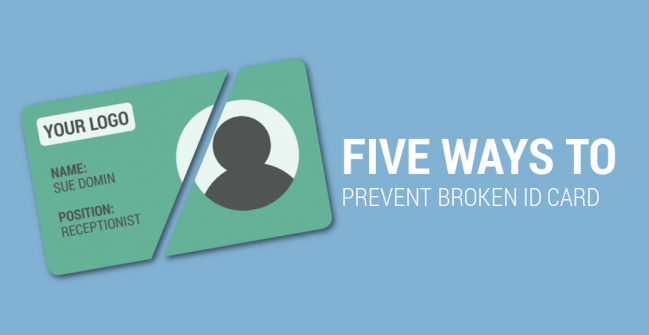 Nine times out of ten, the cause of the break can be prevented by taking the correct precautions pre and post-sale. Below are some helpful tips that can prevent your photo ID cards from breaking, and inevitably lead to saving your organisation time and money. Standard PVC or Composite Cards? First up is to look at the card options available pre-sale. Dependant on your requirements, there are two standard options to choose from. 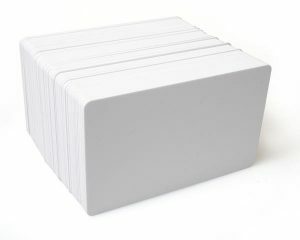 Standard PVC cards are made from 100% PVC, whereas composite cards are 60% PVC and 40% Polyester making the card stronger, more durable, and last longer than the standard PVC card. If your photo ID cards will be worn outdoors and open to all elements of the weather or are frequently swiped through a reader, then our advice is to opt for the composite card option. Now, this step may seem simple, but it’s one a lot of businesses don’t give much attention to and often just opt for the cheapest option available. Once you have printed the card, the card will need somewhere to be displayed. A previous trend saw companies simply punch holes into their ID cards to attach them to a lanyard. However, we have seen a real switch from this approach as ID badges were more susceptible to breakage due to being open to all elements and daily wear and tear. Investing in cardholders will prevent your cards from scratching, bending and colour fading, so let’s take a closer look at the different options available. Open-faced holders are an excellent solution for cards not needing a high-level of protection, or indoor usage. For companies that are exposed to the elements, then an enclosed holder is a much better option. These holders are initially a bit pricier, but with the card being securely enclosed, this massively reduces any re-issuance costs in the long-run as cards are not susceptible to the weather or interference. ID Card Lamination: Is it Required? Lamination is the process of adding an additional layer of film onto a card’s surface to protect it from wear and tear as well as ultraviolet rays. Often, the layer of lamination is clear, but it can also include holographic foil which is bespoke to an organisation or business to further increase security and lower card cloning attempts. Lamination not only makes cards last longer as they are stronger against bending, cracking and scratching, but also keeps them looking professional as they’re resistant against fading. Opting to laminate your cards does mean costs will be heightened at first for the printer upgrade, but over time, this cost is balanced with the reduced cost of re-issuance. When Were Your ID Cards First Issued? Has it been several years since your first issuance of photo ID cards? Are more and more of these staff ID cards breaking? If you are using cards that were issued 2-3 years ago, this could be a cause of frequent breaks. Day-to-day, ID cards will be in frequent use, and after a couple of years of wear and tear, it’s no wonder these cards aren’t up to scratch. It may be time to do a full company re-issuance, but this also means it’s time to assess your printing equipment. There’s a reason your printer warranty doesn’t last forever, and it’s advisable to upgrade printers every so often. Having an out-of-date ID card printer will only increase your re-issuance costs more and therefore counteract its use. Not only may your printer be out-of-date, but the designs on your cards may be too. Is the design looking old? Would your staff members be happy to see a complete refresh? Surprisingly, issuing staff with a new, fully updated card can actually help boost morale and employees will be more inclined to look after these cards. It may be time to take a look at both when your cards were printed and what was printed on them because you don’t want people thinking your outdated cards reflect an outdated business. One way to reduce ID card re-issuance is to ensure your staff are looking after their ID cards, and they are more likely to do this if they value them. By including your employees in the design process, they will be much more inclined to wear and show off their ID card. Let them have fun with the design of the card by allowing them to choose the photo that goes onto it or print the cards in really bright colours. It’s also not just ID cards that can be colourful; lanyards come in a wide range of colours too. 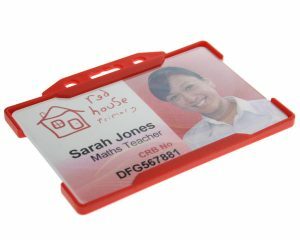 Not every photo ID card has to be serious and boring, and if your staff are involved with the process, they will want to look after their creations. Although ID cards are essential for security, it doesn’t mean you can’t have fun with them. If you’re still having problems after reading our quick fixes, then it might be time to think about upgrading your photo ID card printer you’re using and the actual cards you’re printing on. Perhaps they need to change. Our ID experts are on-hand to come up with a solution for you. You can contact us via email, sales@digitalid.co.uk, or call the team direct on 0800 988 2095.